Notes: LD means "Lunar Distance." 1 LD = 384,401 km, the distance between Earth and the Moon. 1 LD also equals 0.00256 AU. MAG is the visual magnitude of the asteroid on the date of closest approach. NEW SUNSPOT: Observers are reporting a new sunspot forming near the sun's southeastern limb. It appears to be a member of Solar Cycle 24. images: #1, #2. SOLAR WIND: A solar wind stream is buffeting Earth's magnetic field, but it is not stirring up geomagnetic storms or auroras. Geomagnetic activity should remain low. After more than 18 years studying the Sun, the plug is finally being pulled on the ailing spacecraft Ulysses. Final communication with the joint European-US satellite will take place on 30 June. The long-serving craft, launched in October 1990, has already served four times its expected design life. The Esa-Nasa mission was the first to survey the environment in space above and below the poles of the Sun. Data from the craft, published last year, also suggested that the solar wind - the stream of charged particles billowing away from the Sun - is at its weakest for 50 years. "We expected the spacecraft to cease functioning much earlier," said Paolo Ferri of the European Space Agency (Esa). "Although it is always hard to take the decision to terminate a mission, we have to accept that the satellite is running out of resources and a controlled switch-off is the best ending." Ulysses has already defied the odds several times. In its 18-year life, the mission has been extended four times. But its protracted mission has taken its toll. Ulysses' main transmitter no longer works and its back-up systems are also beginning to fail. Last year, the space agencies finally announced that they were finally ready to pull the plug after the satellite's power supply had weakened to the point where the craft could no longer prevent its hydrazine fuel from freezing. Engineers believed the craft would become uncontrollable and its end of life was scheduled for 1 July 2008. However, mission scientists came up with a short-term fix whereby the fuel could be kept circulating by performing a short thruster burn every two hours. The ingenious fix gave the craft another year of life. But, now, scientists believe it is time to switch off the mission. In particular, they feel the scientific return has reached a level where it is hard to justify the operational costs. Final communication with the craft will begin at 1635 GMT and run until 2120 GMT on 30 June, after which no further contact is planned. The craft will in effect become a man-made comet. 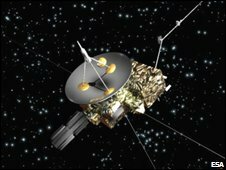 "[It] will be a very sad day when we send the last commands to Ulysses," said Nigel Angold, Esa Mission Operations Manager. GEOMAGNETIC STORM: A solar wind stream hit Earth's magnetic field on June 24th, sparking a brief but potent geomagnetic storm (Kp=5). The midnight sun prevented sightings of Northern Lights around the Arctic Circle. Amateur astronomer Jacob Bassøe took the picture hours ago from his backyard observatory in Copenhagen, Denmark. "It is a nice bipolar sunspot with a bushy dark filament emerging from one of the cores," he says. The magnetic polarity of sunspot 1023 identifies it as a member of new Solar Cycle 24. 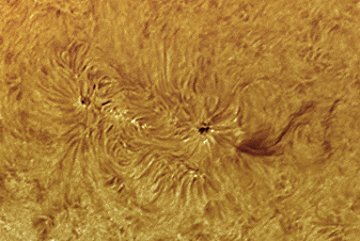 Its appearance coincides with the movement of two solar jet streams into a range of heliographic latitudes that promotes sunspot formation. No one knows exactly how the sun's deep jet streams boost the sunspot count, but they do. As a result, this week's sunspot activity might herald more to come. Stay tuned for updates. Both are members of Solar Cycle 24. .htm"> solar jet streams into a range of heliographic latitudes that promotes sunspot formation. No one knows exactly how the sun's deep jet streams boost the sunspot count, but they do. As a result, these tiny spots might herald more to come. Stay tuned for updates. blow on or about June 25th. 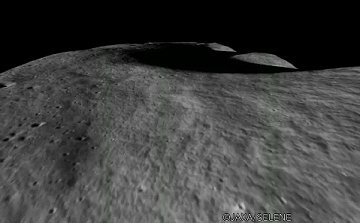 LUNAR FLYBY: Tomorrow morning, NASA's LCROSS (Lunar CRater Observation and Sensing Satellite) spacecraft will fly by the Moon and send pictures back to Earth from only 9000 km above the lunar surface. The purpose of the maneuver is to put LCROSS in an elongated Earth orbit and position it for impact at the lunar south pole later this year. Live video streaming of the flyby begins at approximately 5:20 AM PDT on Tuesday, June 23, 2009. 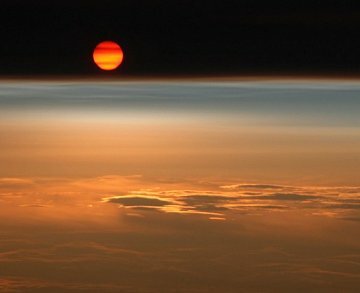 Visit http://spaceweather.com for links and updates. NEW SUNSPOTS: Since 2007, it has been unusual to see even a single spot on the sun. Today there are two. A pair of new-cycle sunspots is emerging in the sun's southern hemisphere. This is a good opportunity for readers with solar telescopes to witness sunspot genesis in action. HAPPY SOLSTICE: Summer begins in the northern hemisphere on Sunday, June 21st, at 5:45 am UT (1:45 am EDT) when the sun reaches its maximum declination above the celestial equator. At the same moment, winter begins in the southern hemisphere. Happy Solstice! 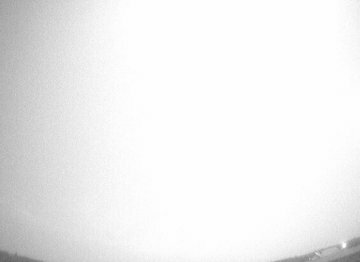 The onrushing landscape is what Kaguya's cameras saw as the spacecraft glided into the lunar surface at a shallow angle. When the 2,900 kg spacecraft hit the surface at 6,000 km/hr, astronomers in Australia observed a fireball at the impact site. The explosion punctuated a remarkably successful mission of lunar discovery. Why bother hitting the Moon? For one thing, it's a good way to end a mission. 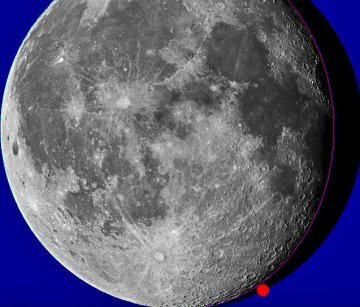 Lunar satellites can't orbit forever because the Moon's gravitational field is weird and lumpy. Crashing is better than flying off into space, where the spacecraft could pose a hazard to other missions. Crashing also produces a fireball, which allows astronomers to estimate the "luminous efficiency" of objects hitting the Moon. Luminous efficiency is a key parameter required to interpret genuine lunar meteorite impacts. Also, hitting the Moon might uncover something interesting--like evidence of water. NASA's LCROSS spacecraft will attempt that trick later this year. 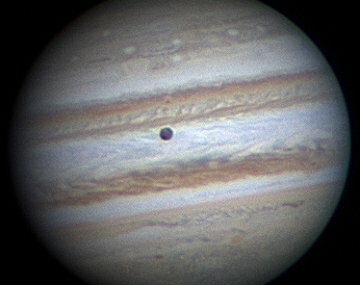 GREAT GANYMEDE: On June 16th, Paul Haese of Blackwood, South Australia, looked at Jupiter through his 14-inch Celestron telescope and witnessed a "dark and foreboding spot. It was Ganymede," he says, "transiting the cloudtops of Jupiter." If Ganymede looks big in Haese's photo, that's because it is. Ganymede is the largest moon in the whole solar system--slightly wider than the planet Mercury and more than three-quarters the size of Mars. If it orbited the sun instead of Jupiter, Ganymede would surely be considered a planet. Ganymede is easy to see through backyard telescopes. Look for it right beside (or sometimes directly in front of) Jupiter in the southern sky just before dawn: sky map. Because it flows beneath the surface of the sun, the jet stream is not directly visible. Hill and Howe tracked its hidden motions via helioseismology. Shifting masses inside the sun send pressure waves rippling the tied to the creation of sunspots and how jet streams can affect the timing of the solar cycle." "The movie shows several blobs of plasma dripping like rain from the arch, while others leap up from the sun's surface to join the action," describes Alvarez. "At the end there is a small explosion off to the left that is extremely quick." 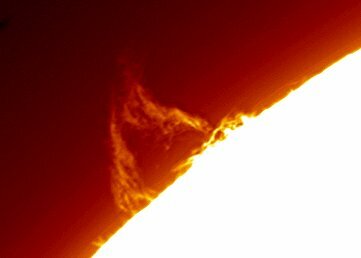 Prominences are clouds of hot plasma (ionized gas) held aloft by solar magnetic fields. How "plasma blobs" manage to leap and fall through the magnetic thicket is a matter of keen interest to nuclear engineers. Controlling plasma is key to the development of fusion reactors, and the sun is an excellent laboratory for studying interactions between plasma and magnetic fields. 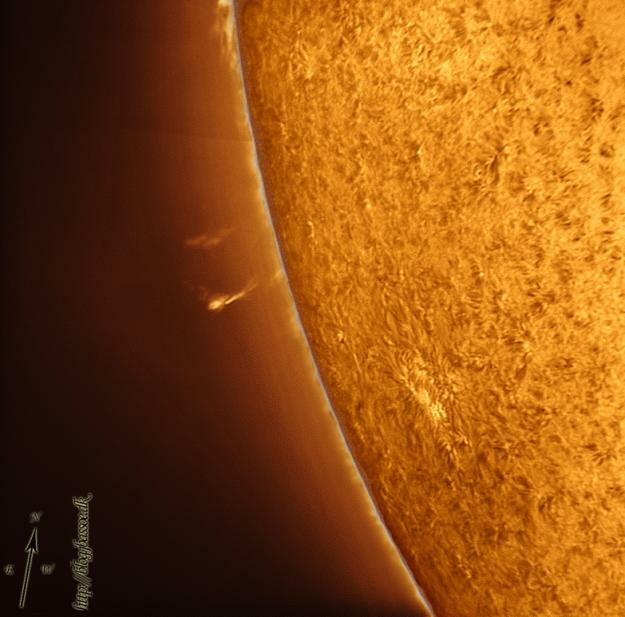 There are many more prominences dancing around the edge of the sun today. Readers, if you have a solar telescope, take a look. 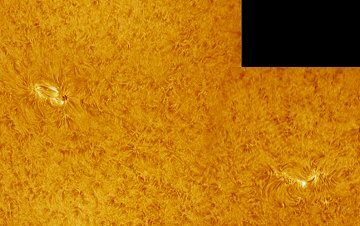 "We really enjoyed observing and imaging this prominence on the sun's northwestern limb," says Stetson. Although it resembles fire, no combustion is involved. Prominences are glowing clouds of solar plasma held aloft by magnetic fields. 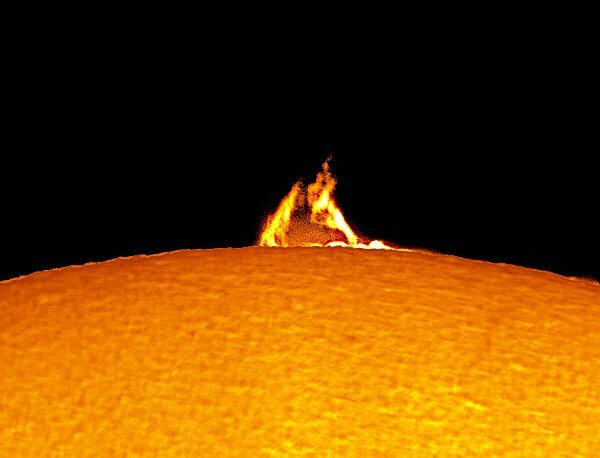 The shape of the prominence traces the shape of the underlying magnetic field--in this case a towering triangle. For scale, Earth would fit beneath the arch with room to spare. Kaguya is a big spaceship. It masses 2,900 kg and will hit the Moon at an oblique angle traveling approximately 6,000 km/hr. Whether it tumbles and bounces along the lunar surface or runs headlong into some towering crater wall, no one can say. Clues to the end of Kaguya will come on June 10th in the form of an explosive flash (or lack thereof) and high-res images of the crash site taken by future lunar orbiters. The impact is not accidental. The Japanese space agency, JAXA, has long planned to end the mission in this fashion. Kaguya has been in lunar orbit since Oct. 2007; it has searched dark craters for evidence of frozen water, mapped the moon's gravitational field, and taken some of the all-time prettiest pictures of Earth's satellite. Farewell, Kaguya! Links for observers: #1: #2, #3. Astronomers Jeremy Bailey and Steve Lee used the observatory's Infrared Imager and Spectrograph (IRIS2) to record the fireball, which appeared at 18:25 UT when the 2,900 kg spacecraft slammed into the lunar surface at 6000 km/hr. The observations were made with a 2.3 micron narrow band filter, and are part of a time series of 1 second exposures with 0.6 seconds dead time between each frame. Readers are asking, why bother hitting the Moon? For one thing, it's a good way to end a mission. Lunar satellites can't orbit forever because the Moon's gravitational field is weird and lumpy. Crashing is better than flying off into space, where the spacecraft could pose a hazard to other missions. Crashing also produces a fireball, which allows astronomers to estimate the "luminous efficiency" of objects hitting the Moon. Luminous efficiency is a key parameter required to interpret genuine lunar meteorite impacts. Also, hitting the Moon might uncover something interesting--like evidence of water. NASA's LCROSS spacecraft will attempt that trick later this year. Let's look at a very simple example: In 1983, NASA's Infrared Astronomical Satellite (IRAS) carried out the first ever space-based survey of the entire sky at infrared wavelengths. IRAS spotted some mystery infrared objects (make a note of the word "mystery"). This would be expected, I suppose, as this was the first survey of its kind. The Washington Post picked up on NASA's initial findings and published an article entitled "Mystery Heavenly Body Discovered," in which the author lays out some possibilities for these infrared objects. Initial reports postulated that one of these objects could be a long-period comet, or a planet, or a far-off young galaxy or a protostar. Innocent enough, you may think. However, this one news article planted the seed of an entire Planet X doomsday scenario that has given root to countless YouTube videos, doomsday books and now, a Sony Pictures movie, to be released in November. It's of little concern to doomsday "believers" that these mystery infrared objects were identified as ultra-luminous young galaxies far, far away, and not a nearby Earth-killing "Planet X". Doomsday theories stick, no matter how much evidence there is to the contrary. So, today I read about the incredible observation by astronomers that the famous red supergiant star Betelgeuse is shrinking. According to University of California, Berkeley astrophysicists, over the last 15 years, Betelgeuse has shriveled by 15% in diameter. This is a startling observation in my opinion. Although the star has undergone no variation in luminosity, to be able to distinguish a 15% reduction in size of a star some 600 light years away is astonishing. The supergiant isn't even an "easy" star to observe; as it's so old, it's undergoing some violent changes, blasting hot gas into space, shrouding its surface from view. Only by using the extremely sensitive Infrared Spatial Interferometer (ISI) on the top of Mt. Wilson in Southern California, researchers were able to see through the haze and measure the star diameter with such precision. On reading through the Berkeley press release, there is no mention that this shrinkage could indicate Betelgeuse is about to explode. Granted, the 15 year shrinkage is a "mystery" (there's that word again), but the star has been known to vary in size in the past. In fact, it is known to pulsate in size with periods of one and six years. Also, the rotational period of Betelgeuse is once every 18 years; simulations suggest the star is not spherical, so the shrinkage could be an illusion, we are seeing a potato-shaped disk on its thinnest edge. Despite all these factors, Fox News runs with the title "Nearby Star May Be Getting Ready to Explode." Using the Berkeley press release as a source, and quoting all the facts mentioned above, they've put two and two together, made five and declared stellar Armageddon. If so, the star, which is 600 light-years away, will already have exploded — and we'll soon be in for a spectacular, and perfectly safe, interstellar fireworks show. Yes, it's totally possible Betelgeuse could explode, but the chances of this happening in this 600 year window is highly unlikely, regardless how fast it seems to be shrinking. Needless to say, the Fox article has done the best on the social bookmarking sites, hitting the front page of Digg. Everyone loves a supernova. As for the "shrinking star" reports, not so much. This may not have the makings of the next, great doomsday movie plot, but it is an example how definite conclusions (i.e. a supernova) can be made from a fairly benign, yet interesting astronomical "mystery". BIG ASTEROID FLYBY: Today, June 9th, asteroid 2003 QO104 is passing by Earth only 9 million miles away. Measuring 2 miles in diameter, the massive asteroid is about 1/3rd the size of the K-T impactor that probably wiped out the dinosaurs 65 million years ago. There's no danger of a collision this time, it's just a photo-op. TRANSIT OF VENUS: Five years ago today, Venus made an historic transit of the Sun. Our 15-page photo gallery documents the crossing, ranked by witnesses as one of the most beautiful events of modern astronomy. The next transit: June 6, 2012. Book your ticket for the South Pacific! ARIETID METEOR SHOWER: The annual Arietid meteor shower peaks on Sunday, June 7th. The Arietids are unusual because they are daytime meteors; the shower is most intense after sunrise. Early risers could spot a small number of earthgrazing Arietids during the dark hours before dawn on Sunday morning. After daybreak, you can listen to the shower by tuning into our online meteor radar. 6-5-09 - Sunspot 1019 fading even more as it travels across the face of the sun. The sunspot's two dark cores are each about the size of Earth, and they are crackling with B-class solar flares. During years of Solar Max (e.g., 2000-2002) we would consider such activity minor, but now, during the deep solar minimum of 2008-2009, it merits attention. The magnetic polarity and high latitude of the sunspot identify it as a member of new Solar Cycle 24, expected to peak in 2013. This makes sunspot 1019 a sign of things to come. Readers with solar telescopes should take a look. What happened? 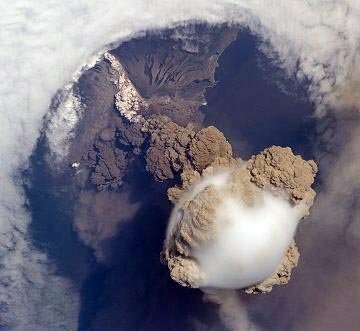 A meteoroid of unknown origin hit Earth's atmosphere and exploded. "It was a huge fireball, probably brighter than magnitude -13," reports Gniewowo resident Przemyslaw Zoladek. "The explosion occured at 20:48 UT and was observed by many casual witnesses and at least two Polish Fireball Network video stations." No one knows if fragments of the object reached the ground. Click here for updates. 6-1-09 - sunspot 1019 coming around the corner of the sun - photos above. The sunspot, numbered 1019, in growing rapidly as shown in this movie from the Solar and Heliospheric Observatory. The high latitude and magnetic polarity of the spot identify it as a member of new Solar Cycle 24. Readers , if you have a solar telescope, train it on the sun and watch sunspot genesis in action.